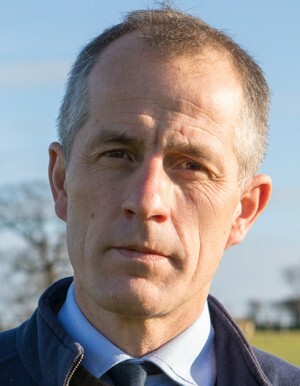 Roly is a qualified veterinary surgeon and has been Chief Executive of the charity World Horse Welfare since 2008. He graduated from Cambridge University in 1992 and acquired his Master’s degree in Nutrition from the London School of Hygiene and Tropical Medicine in 1997. After graduating from Cambridge, he briefly worked for the Blue Cross animal charity before joining the Royal Army Veterinary Corps for a seven-year period. Roly plays an active role in much of World Horse Welfare’s work supporting the horse-human partnership across four continents, including leading the charity’s work with veterinary universities and networks, the EU, OIE, the FAO and the United Nations. He also advises the International Equestrian Federation (FEI) and the British Horseracing Authority on horse welfare. Roly is currently a Board Member of the European Horse Network, Treasurer of the British Equine Veterinary Association (BEVA), Chairman of the UK Equine Disease Coalition and a Board member of the British Horse Council. He regularly addresses national and international audiences in the fields of horse sport welfare, social license in equine sport, the responsibilities of vets in promoting equine welfare and responsible equine ownership from birth to death.